Only few know that Ravello, one of the most charming towns of the Amalfi Coast, perched on a high cliff at about 350 meters a.s.l. 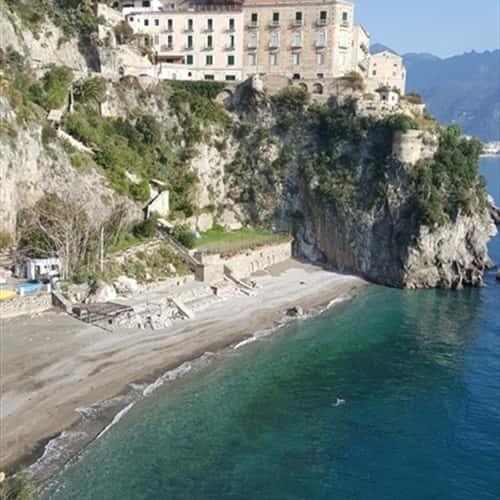 with a stunning view on the coastline below, also has a very lovely beach: the beach of Castiglione, located in the eponymous village, near Atrani. The picturesque cave is easily reachable from SS 163 Amalfitana, through a staircase of about 200 steps. 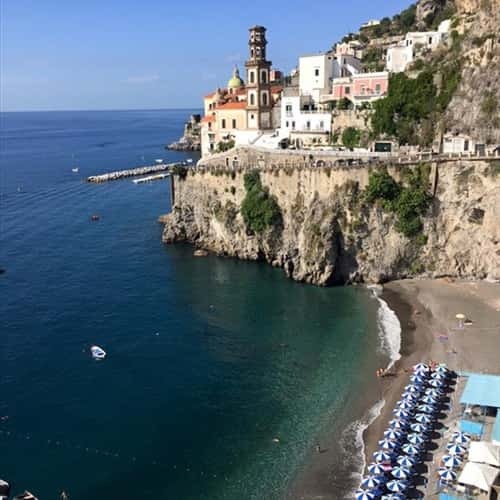 The beach is about one hundred meters and enclosed in a unique scenario: on one side there are the beautiful noble buildings of this village and, on the other, the characteristic shape of Atrani, with the Church of Maria Maddalena and its bell tower. Surrounded by the rocks, the beach of Castiglione is in the shade from early afternoon.